ILov305, a restaurant and bar concept from Armando Christian Perez, the Grammy-winning artist known as Pitbull, and the creators of the Sugar Factory American Brasserie brand is coming this summer to Ocean Drive. Following approval by the Historic Preservation Board last fall, the Planning Board this week gave a thumbs up to the restaurant’s Conditional Use Permit, clearing the way for the owner to move forward with the project at the corner of 11th and Ocean. The proposal is for an interior restaurant with 175 seats and an occupant load of 232. A sidewalk café will have 42 seats. Entertainment will be limited to inside only and will include a DJ and potentially a live singer. James Rauh, an attorney with Greenspoon Marder, told the Planning Board the proposed location was originally constructed in 1934 as the Bon Air Hotel. 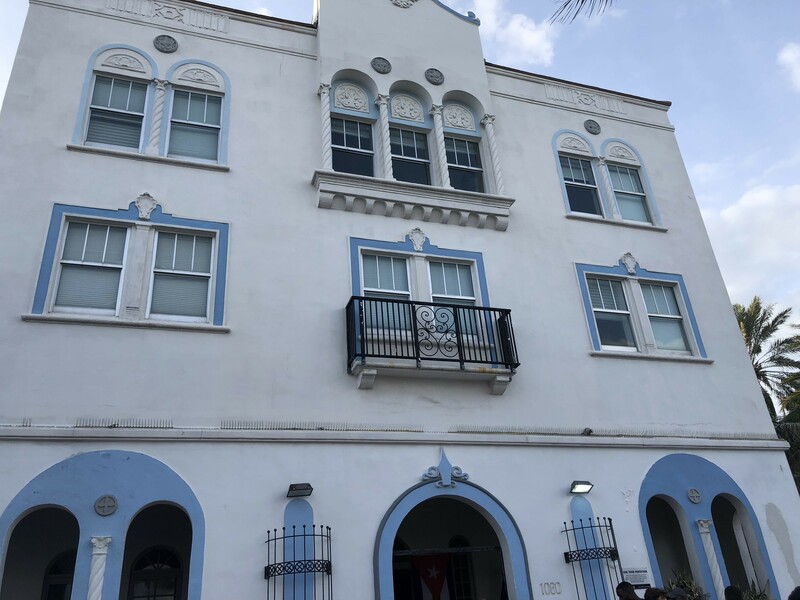 “It’s one of the most intact historic properties on Ocean Drive including floor and ceiling details and the work being done on this project is restorative,” Rauh said. The lower level of the building has been vacant since 2004. Approving the project would do two important things according to Rauh: Allow the public access, once again, “to see the significant public interior” and serves a crime prevention goal by activating a long vacant area. Rauh also noted the operator of the restaurant will be the Sugar Factory, a nationwide restaurant brand, which has a location on Ocean Drive just north of the Versace mansion. ILov305 would be located just south of it. He emphasized Sugar Factory’s experience “with operating bona fide restaurants in this precinct”. Pitbull is the ILov305 brand ambassador. Plans call for a cocktail lounge, a seating area and a daiquiri bar within the building’s historic lobby. In addition to the main dining area, there will be three VIP rooms, a private lounge, and four bars. “The renovations of the Restaurant Premises have been designed in a manner which will complement the Mediterranean Revival style of architecture,” according to a letter from Rauh filed with the application documents. Renderings from Echeverría Design Group call for a Havana Club esthetic/tropical feel with vintage elements and Spanish tiles. Charissa Davidovici, Owner and Manager of ILov305 as well as Sugar Factory, described the food as modern American meets Latin flair, including comfort food such as an ILov305 burger. The key issue for the Board centered on the potential for spillover sound from the interior entertainment. Rauh emphasized the concept is for a “high-end restaurant venue that has an entertainment component” indoors but which will not have any impact outdoors. The requirement under the CUP is that any spillover noise would have to be at the level of ambient conversation. Rauh said there will be no stage and the DJ will be located on the second level on the western end of the restaurant. Sound experts presented opinions that there would be no adverse impact on the surrounding area. Confirmation of that is a condition of this week’s approval. Other conditions include compliance with the Ocean Drive Ten Point Plan for operations as it existed on the date of the CUP approval including no hawking and that the operations “shall not become a standalone bar or entertainment establishment”. To minimize impact on the neighborhood, a commercial loading zone will be created on 11th Street to handle deliveries and valet parking will be offered by utilizing a garage at 10th and Collins. The restaurant will be open daily for lunch, dinner, and after-hour dining.